Imogen's Typewriter. : Loving Lately: Candles! Along with loving the Countdown to Christmas, lately I've been pulling out all my candles from every nook and cranny that I store them and firing them up. I'm actually a little ashamed of how many I have when I get them all together! Spiced Orange by Yankee Candle was a Christmas present from my brother about six years ago that I have repurchased time and time again as it just reminds me of the first time I burnt it on Christmas Day watching movies with my family. I won a set of Elli Candles from Caitlin (and if you use this link you get £5 to spend free! ), the set came with Festive Nights, Festive Fires and Festive Pine and they've been amazing. Really lovely scents, really Christmassy and gorgeous reusable Mason jars. Last year my Booboo Ashley was kind enough to smuggle some Bath and Body Works candles in a huge brown box with a $0 customs value, god bless her. I've been using them sparingly since to make them last and I have to say- YouTubers are right. Leaves is the best candle ever. The candle in the little gingerbread votive holder is the French Vanilla one from Heart and Home Candles* from IWOOT but it's nearly finished and then I'll raid my Yankee Candle stash. 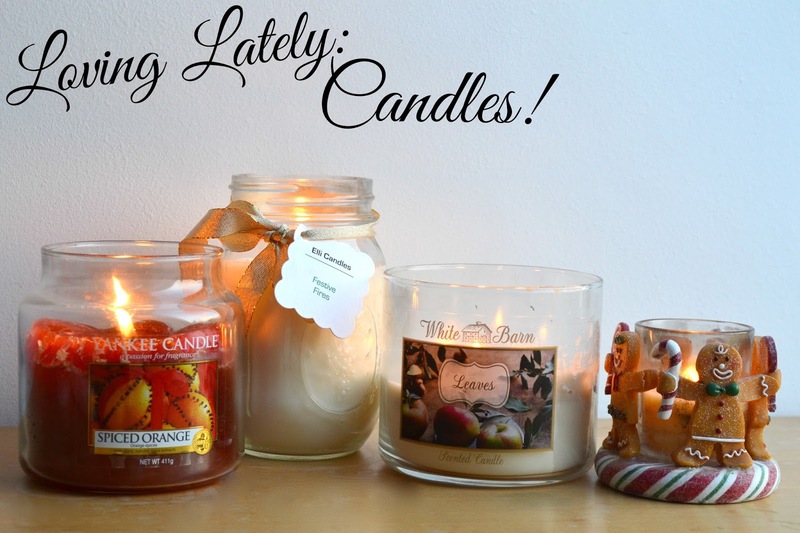 Do you bring out the candles when Winter comes around? What are your favourites? *The IWOOT link is a affiliate link which means if you buy anything from them, I get a few pennies at no extra cost to you. They sent me the candle too which was nice of them.